Since the Nintendo Switch released on the 3rd of March in 2017, there has been no shortage of great games. 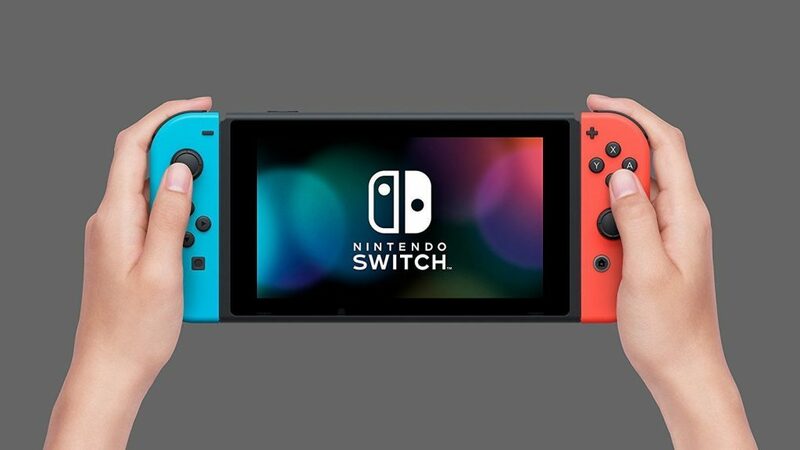 With titles like The Legend Of Zelda: Breath Of The Wild, Warframe and Super Smash Bros Ultimate Switch owners like myself have really got a bang for their buck with this console. 2019 will be no exception to this rule with a substantial list of games to look forward to. With that said, here are the games I am looking forward to playing on my Nintendo Switch in 2019. While I only started playing Fire Emblem in 2017 with Fire Emblem Fates, I quickly fell in love with the franchise and went back to play all of the games. It is a beloved strategy game that consistently has some of the most immersive game-play and story lines which makes it my second favourite Nintendo franchise. The game tells the story of four different protagonists who are all caught up in a conflict fueled by the Church of Seiros, an organization that exercises immense control over the land and its people. Coming soon in Spring 2019, I am incredibly excited for the game. Fire Emblem’s battle mechanics have always felt incredibly intuitive to me and I cannot wait to get back into some good old strategy on my Nintendo Switch alongside some new features thrown in, such as expanded unit control and the ability to freely roam the map and interact with characters to gather intel. . The trailer looks incredible and I have a feeling that the story is going to be excellent. The Fire Emblem experience will be truly enhanced by the Switch’s graphical ability (over the 3DS’s) and I truly cannot wait for it to release. Although I am not the biggest fan of the Animal Crossing franchise, they are fun games. And for all you Animal Crossing fans out there, rejoice! It’s finally happening. The Switch is getting an entirely new game built from the ground up. The game was announced after the reveal of Isabelle during the Super Smash Bros. Ultimate Direct presentation in September, which made for quite the bait for loyal fans. Since the reveal, little has been said about Animal Crossing Switch. Next to nothing is known about how the game will play or what new features are being added, but seeing as it is set to launch in 2019, new details are more than likely to come sooner than later. Renowned Castlevania developer Koji Igarashi is almost ready to launch his first project after striking out from Konami, and if you’re familiar with his past, Bloodstained: Ritual of the Night shouldn’t come as too much of a surprise. This side-scrolling action game is set in an anime-tinged gothic world built on top of a sprawling map, with plenty of puzzles, boss battles, and upgrades to uncover. Originally pitched on Kickstarter back in 2015 (a campaign that was fully funded in a single day), Bloodstained is currently set to launch on Switch, PS4, Xbox One, and PC sometime in 2019. It was initially planned to release in 2018, but it was delayed in order to add more polish to the experience. Developer Wayforward was brought in to aid with finishing up development. If you’re thirsting for more Koji Igarashi before then, check out the prequel to this game, Bloodstained: Curse of the Moon. This game was recently brought to my attention whilst I was browsing through Nintendo’s upcoming catalogue. The gameplay and visuals immediately grabbed my attention and I was drawn into this game. Under a new IP, Daemon X Machina seems to be a promising third-person action game with some Gundam inspired giant robots and colourful displays of over-the-top action complete with heavy machine-gun fire, missile barrages, and beam sabre fights. Whilst I am not entirely convinced that Nintendo’s new IP is going to take off, I am willing to take a bet with Daemon X Machina, as I have enough trust in Nintendo to do so, unlike some companies *cough* EA *cough*. Whilst Pokemon Let’s Go was technically the first pokemon RPG on the Nintendo Switch, many fans of the Pokemon franchise, including myself, refuse to see at as the long-awaited main Pokemon RPG for the Nintendo Switch. That being said, we finally got confirmation of a mainstream Pokemon RPG coming to the Nintendo Switch in late 2019. Barely anything is currently known, except for the speculated release period so we are going to have to wait for more information from Nintendo, which we expect to be seeing at the next Nintendo Direct. These are the big Switch games releasing in 2019 that I don’t have as much of an interest in. So that wraps up what I am looking forward to playing on my Nintendo Switch this year! Comment down below with the games that you are looking forward to! Thanks for reading and I’ll see you guys in my next article! I remembered again! I’m on a roll.